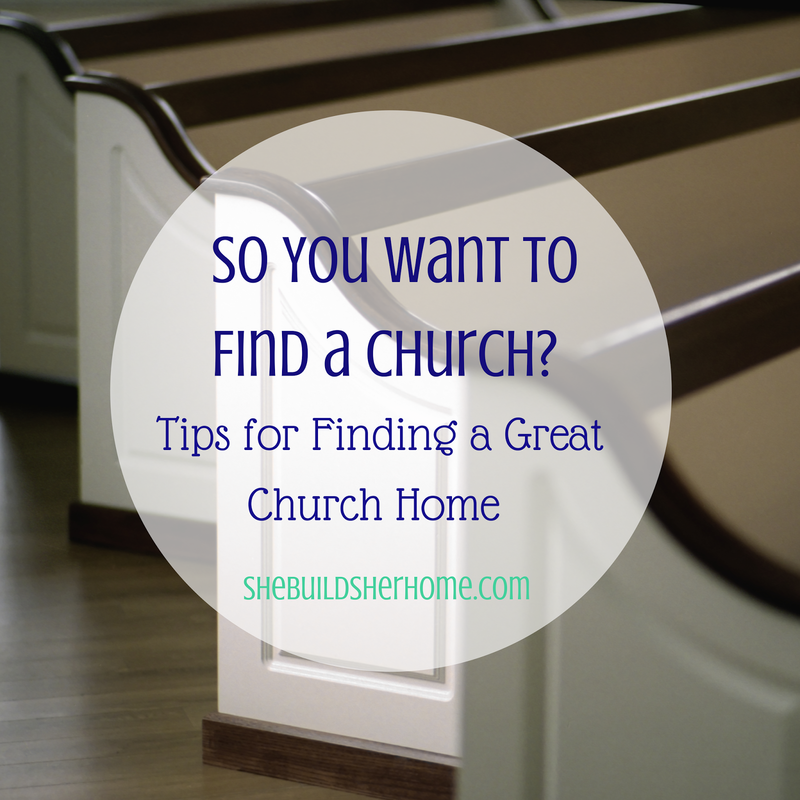 She Builds Her Home: So You Want to Find a Church? Church hopping, and church shopping are popular things. Growing up, we did quite a bit of both. I can't ever remember having a solid home church. As an adult, I've been blessed to be at the same church (and now church plant out of that church) since I became a believer, but I know many people who shop and shop to no avail. I am really passionate about believers being committed to their local church. 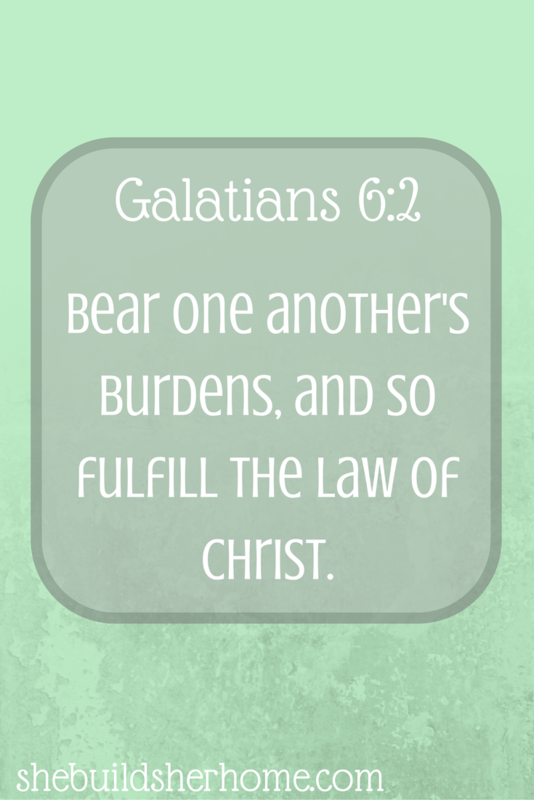 Fellowship is SO important for followers of Christ. Sure, you can do the Christian walk alone, but that is not what God intended for you. That is a whole post of its own, though. Because I'm passionate about it, I am overjoyed when I hear of people finding a church. Whether it is the first church they tried as a believer, or they have been looking for years and finally found the right fit, I'm rejoicing with them! I wish that it was easy to find a great church. That they were all Biblically focused and full of truth and grace. Unfortunately, that is not the case, and it seems like it is becoming harder and harder to find a church. Sometimes, it is the practical stuff that doesn't work out for you, like if you find a great church that meets on Saturday nights but you are only free Sunday mornings. Other times, it is the foundation that doesn't work, such as if they have big theological differences. Whatever the reason is, it is important to find a church that you feel comfortable in and you can see yourself staying in. Here are a few of my tips for finding the perfect fit for you and/or your family (read: perfect fit, not perfect church...there is no such thing). Decide what you want. Make an actual list of things you are looking for in a church. Do you want traditional or contemporary music? 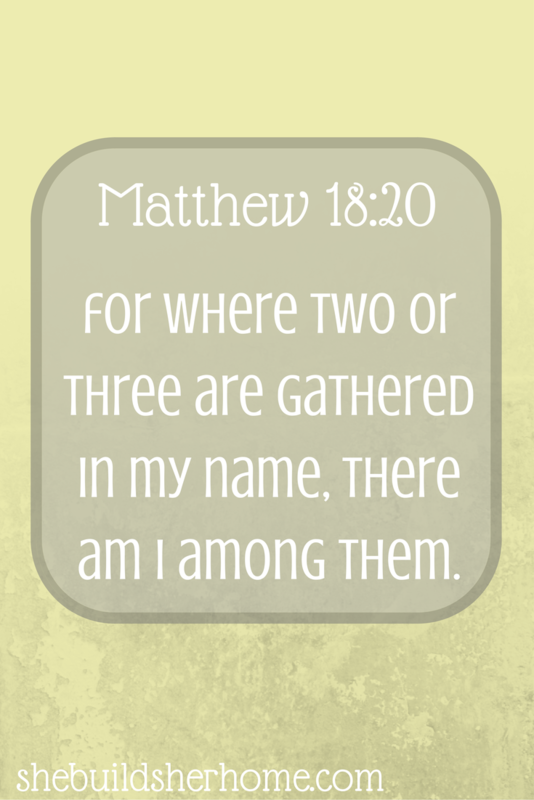 A large or small congregation? Be specific and write down everything you can think of that matters to you. Maybe you care how old the pastor is or what kind of training he has. Perhaps you would only go to a church that has an Awana program. Write it all down so that you know exactly what you're looking for, which will make the next step a lot easier on you. Search the internet. Long and hard. I'm sure there are a lot of people who have found the closest church, gone to it, and it was a great match. But with so many crazy "churches" out there nowadays, this is my top advice. Search the web for churches in your area that meet some of your criteria. Look at their website, but don't just look to see if it looks good and has ministries that you enjoy. Check out what they believe and make sure it is what YOU believe, too. I have heard several stories of people going to a church for months, or even years in some cases, and loving the church, when out of the blue they realize that they have this huge theological difference and don't feel comfortable attending anymore. Don't let yourself fall in love with a church you can't stay at. Most churches have a "What We Believe" type tab on their website...check that out and actually read it! You will find out a lot from that page. Do your research. Your time is precious and while sure, lots of weeks are to be expected in the church shopping journey, you always don't want to waste your time at places that shouldn't even be on your radar. Many churches in this day and age have social media pages like Twitter and Facebook, and a lot even have YouTube pages. Check them out to see what they are all about! Even better than the internet, ask around. Ask trusted believers that you know if they have a church home that they love. Realize that there is no perfect church. Before you start visiting different churches, you need to come to terms with this. I recently talked to someone, a stranger, about how they had their "perfect" church in another state and have struggled to find another church to match up to this one. No two people on Earth are going to agree about every single thing. Realize that there may be differences, or you may have to sacrifice on a few things to find a really, really good fitting church. Just make sure you aren't sacrificing any big theological beliefs. Go visit. Sorry to tell you, but you'll never know until you try. Visiting churches can range anywhere from very exciting to painfully awkward. Some churches will have members who will make you feel right at home, and you'll check out others who will never give you a second glance. I will even go one step further and say commit to going more than one week. Maybe 2, maybe for a month. Unless, of course, there are huge red flags, try it more than once so you can really get a feel for the whole church. I have seen so many times where people don't return back to a church after one week because of some little detail that was a one time thing, like they had problems with their sound, and missed out on finding a great church home. Go at least twice before you x it off your list. Keep in mind that there isn't a perfect church, but there are some really incredible ones! See how you can get involved. 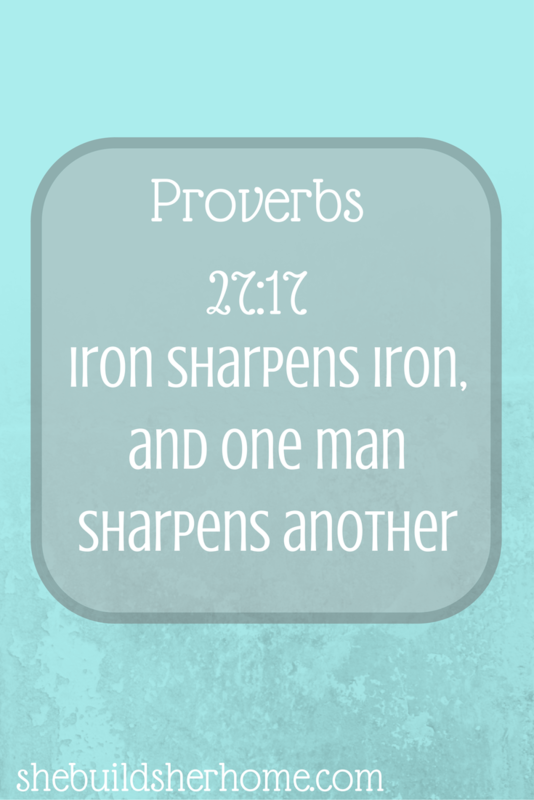 Find out what opportunities there are for you to serve in that Body. This will be the best way to really call a church your home. You'll meet other believers, who may turn into life long friends, and you'll get to know the pastors and other church members better. If you find a church that really has nowhere for you to get involved, that should be a red flag to you. 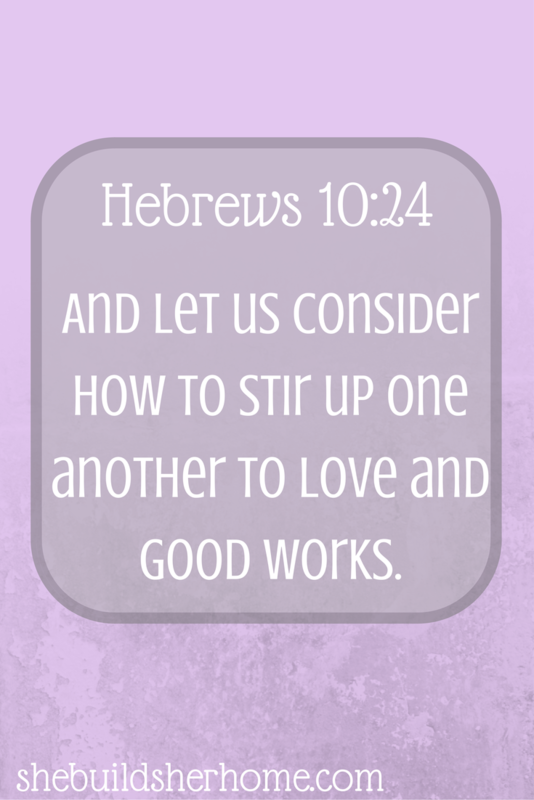 The Lord wants us to be serving, and to be using our talents for His kingdom! If there are great ways for you to be involved, this might be a church worth staying at if a lot of other things are in line. Decide what you're willing to sacrifice. Now that you've visited one or more churches, you'll probably find that you haven't found every single thing you could ever want in a church. Decide which of those things on your list are negotiable. Maybe you don't need donuts & coffee after church each week. It's possible that you can thrive in a church with no Wednesday night bible study. Look at the big picture. Yeah, it's great when all the little details line up as well, but remember that you want to find a place you can commit to and stay at. If you're only going there for the donuts, well, you probably won't stay forever (unless they have really really good donuts, of course). It is my hope and prayer that every believer would find a church home suitable for them. Some place where they can grow closer to the Lord and can spend time fellowshipping with like-minded Christians who are walking the same path in life. If you are beginning or in the middle of a church search, I hope these tips will be helpful in you finding a place to call home. This was such a great post! Finding a new church is hard, but I love that you focused on reminding us no church will be perfect AND that getting plugged in to serve is a big part of that decision. Great words! !